Does speed (as in how fast you read a book) make a difference to your appreciation of a book? Does speed indicate something about the book itself? A few days ago, I finished Brian McGilloway's new book (featuring a new character, DS Lucy Black, of the new Northern Ireland Police in Derry), and started reading the much longer Midwinter Sacrifice, by Swedish author Mons Kallentoft (his first to be translated, featuring Detective Malin Fors of the Linköping police). 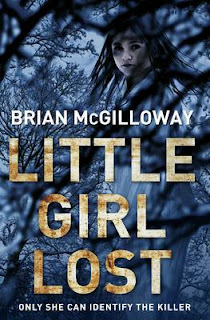 I finished Little Girl Lost quickly (it's not that long) but actually read the text at a fairly leisurely rate (engaged with the story but not forced by the plot to speed up to reach the conclusion). I find that with Kallentoft's prose, which is almost stream of consciousness (lots of sentence fragments, sections from the point of view of the corpse discovered at the beginning) I can only stay engaged with the story if I read very quickly—not to advance toward the end of the over-400-page story, but simply to keep up with the flow of the language. Little Girl Lost steps aside from the characters in McGilloway's previous novels and into Lucy Black's complicated personal and professional life. She has returned to Derry to take a new job and to take care of her ailing father, only to be shunted into an ostensibly less prestigious position in the force and also to discover that her father is slipping quickly into the difficulties of Alzheimer's. She is called to the scene of the sighting of a young girl wandering in the frozen forest during a winter storm, thinking that the girl is the one everyone is looking for (the kidnapped daughter of a local builder) but finding instead a younger girl covered in blood that is not her own. Once it is discovered that it's not the kidnapped girl, no one seems very interested (except Lucy) in the girl, who is now mute and unresponsive). Lucy tries to discover who she is, while also trying to stay involved in the hunt for the kidnapping victim, and when she discovers links, the police hierarchy try to steer her away from the high profile case. Her family history (her parents both cops, in the complicated situation of Catholic police officers in the Troubles) and her conflicts with her superiors are matched by her increasing difficulties with her father (and all strains of the story converge, in a perhaps too convenient way, making Derry sound like one of those small cities where everying and everyone are ultimately connected). I found the fairly straightforward storytelling very appealing, though less complex than the more ruminative Inspector Devlin series (set in the borderlands between Ireland and Norther Ireland). The far less straightforward Midwinter Sacrifice gave me some trouble until I sped up my reading: it's not that the prose is difficult or self-consciously literary; it's more that the style is very expansive rather than economical. 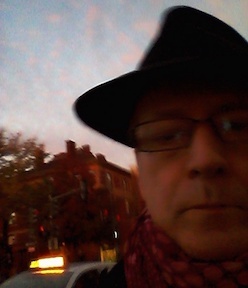 We've grown to expect a certain terseness in the writing of noir fiction and a simplicity of style in more conventional mysteries. The complexity is not particularly a Swedish style (from Larsson to the many newly translated Swedes and back to the classic Sjöwall/Wahlöö books there is a great variety of styles, as well as lengths, in crime fiction books), but seems in this case linked to the subject matter, replete with mysticism, malice, and insular families. One more entry in this "portmanteau" post: I'm halfway thtough watching the excellent RAI TV series based on Carlo Lucarelli's De Luca novels. The films are very well made, capturing the period (end of WWII in Italy) as well as the character of the conflicted Commissario De Luca. The first installment, though, was made not from a De Luca book but from a stand alone novel by Lucarelli set in the same period, in Rimini, and in spite of the rewriting to bring it into the De Luca ambience, there's a telling difference in tone, and the series really comes alive with the second episode, based on Carta Bianca (Carte Blanche in English). The first episode is based on an untranslated book whose title would be something like "Unauthorized Investigation," and I'm curious now about what the book is like (and how different the main character is from the De Luca that he becomes in the film).